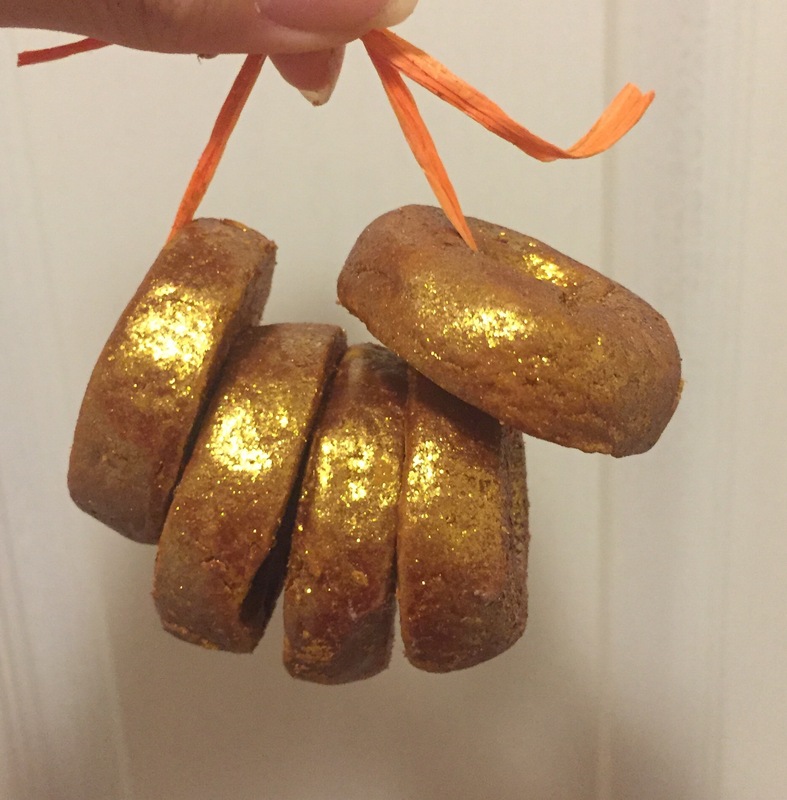 To me the five gold rings bubble bar is such a Christmassy product. I looks like it should be hung on a Christmas tree and not used in the bath. Featuring five elegent gold rings covered in glitter and all joined together with a peice of gold string. This is one very beautiful bubble bar , wonderfully named after the much love Christmas song “on the first day of Christmas”. The scent of this product is just as elegant as its look. It has a very sweet vanillia scent, although it isn’t your average sweet shop vinilla scent it has more of a grown up warming fruity vanillia scent. What I also love about this bubble bar is that it is great value for money. 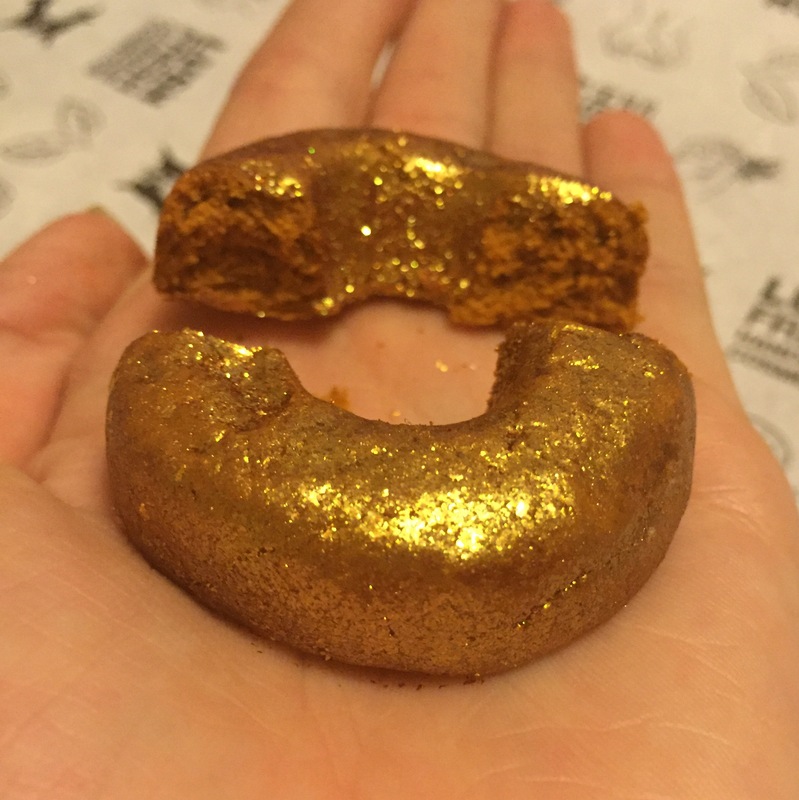 Each gold ring created enough bubbles to make a wonderful bath, meaning that this bubble bar can last up to a whopping five bars. To use this bar I removed one of the rings from the string, which is very easy to do as it just snaps off. 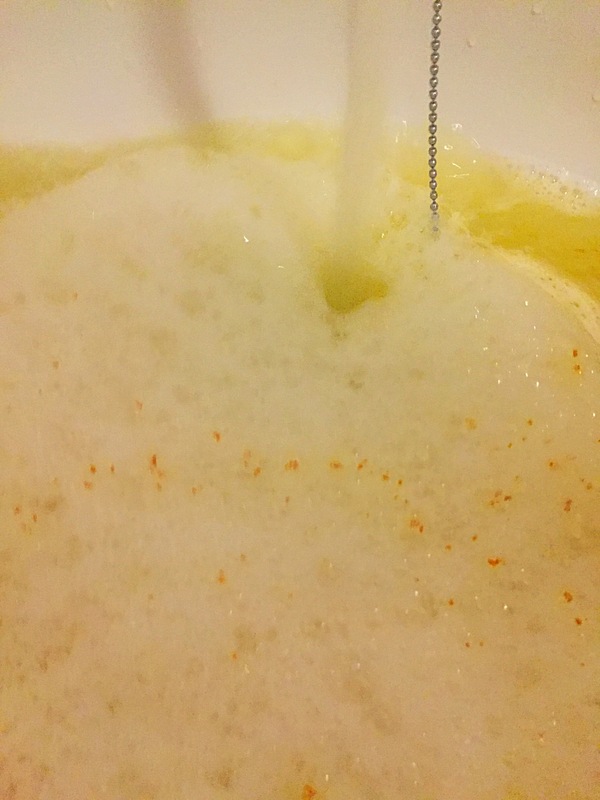 By removing one of the rings it protects the rest of the bubble bar from getting wet and dissolving. Once crumbled under the running water, it creates mountains of super soft sweet smelling bubbles. I was really impressed with how far a little of this bath bomb goes. 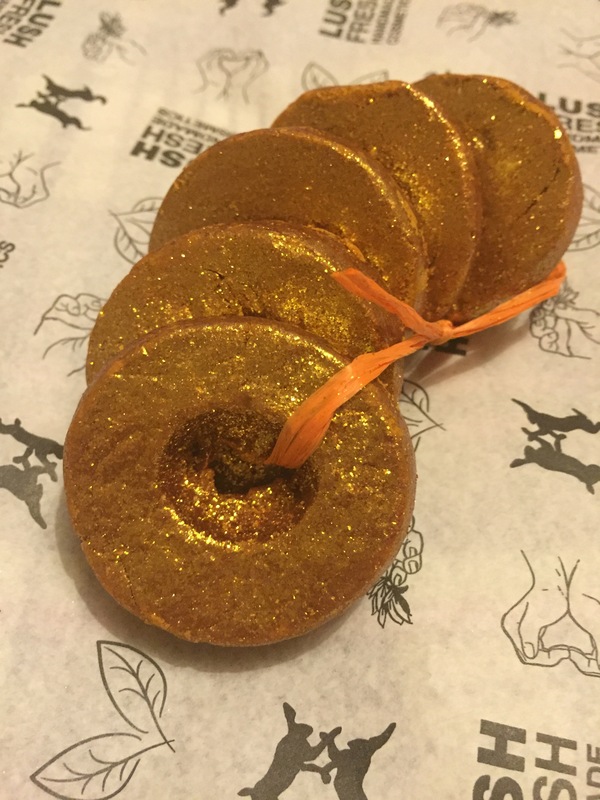 The water also turns a lovely shade of gold with a slight golden shimmer from the glitter. The scent is really elevated when it hits the warm water aswell. Filling the room with is sweet scent. Being such a fan of anything vanillia this product it’s currently top of my favourites list. I would really recommend trying this product out as you will get a great product and great value for money. Top tip – make your your snap one or two rings off for each bath. As this is not a reusable bubble bar (although it does look like one). Ingredients – Sodium Bicarbonate, Cream of Tartar, Sodium Laureth Sulfate, Lauryl Betaine, Cornflour, Perfume, Fair Trade Vanilla Absolute, Benzoin Resinoid, Tonka Absolute, Gardenia Extract, Coumarin, Radiant Gold Lustre (Potassium Aluminium Silicate, Titanium Dioxide, Iron Oxides), Gold Glimmer Lustre, Colour 19140:1Colour 19140, Colour 15510. Oh no that’s such a shame 😩 Yes that’s an awful lot of money to spend. But Boxing Day is a great time to get bits. I always stock up then.